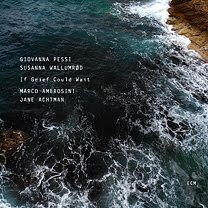 If Grief Could Wait (ECM New Series) offers a remarkable nexus of historically diverse stylistic elements, subjected to the crucible of Giovanna Pessi's arrangements, her harp and the pure-tongued vocal songbird beauty of Susanna Wallumrod. To be more specific, the two have made a most interesting selection of the songs of Henry Purcell, plus the 20th century ballads of Leonard Cohen and Nick Drake, and several by Ms. Wallumrod herself, and gone on to create arrangements of sheer beauty that manage to transcend both early music performance practices and those of the folk songwriting of the modern era to bring us to a place somewhere without location in concrete time. The ensemble of Pessi's harp, Jane Achtman's viola da gamba and Marco Ambrosini's nyckelharpa gives off a resonant, contemplative sweet-sorrow in keeping with Late Medieval-Renaissance song ethos. When conjoined with the deeply thoughtful lyrics & Ms. Wallumrod's vocal unpretentiousness and beauty, a spell of magic weaves its way through the performances that puts it in a world of its own. One is vaguely reminded of the folk qualities of Joanna Newsom and early Joni Mitchell as one is simultaneously put into a sweet melancholic mood brought on by the nearly timeless quality of the songs, of the new world meeting the old without scullying the impact and essence of either sensibilities. The ensemble arrangements, the gentle beauty of the harp ensemble, Ms. Wallumrod's movingly restrained, wistful voice and the lyric beauty of the songs make for an extraordinary listening experience. This is one of those rare albums that transcends time and place to transport us into a never-never land of forgotten worlds, of the impossible longings of people both here and no longer here. In the process Henry Purcell's songs never sounded so appealing, nor has Leonard Cohen's for that matter. It will be available in the States in about a week. By all means, if you are a musical dreamer, do not hesitate to get it and immerse yourself in its joyous sorrows. Pessi and Wallumrod bring us to a place both fragile-vulnerable and strongly transcendent. Do not miss it! Isabelle Faust brings something to the violin concerto repertoire that cannot really be taught--a restrained passion and dreamy quality to her playing, along with a ravishing tone. In a few days her recording of the Berg and Beethoven Concertos (Harmonia Mundi) will be released, accompanied by the Orchestra Mozart under the baton of the estimable Claudio Abbado. 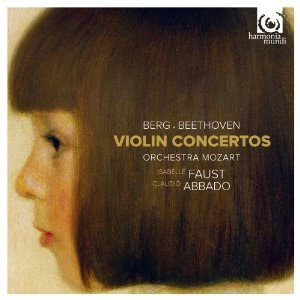 The Berg Concerto has the quality of wistful sorrow and a poetic remembrance of loss, of things past (its subtitle is "On the Death of An Angel" and it was dedicated to the memory of a young lady Berg knew, stricken and taken from the world at an early age). Ms. Faust and Maestro Abbado bring out those qualities superbly with a kind of liquidity and flow to the performance I can't recall ever hearing so affectively handled. It is a most moving performance, one of the very best I have heard. Beethoven's concerto of course has another series of moods which Faust and Abbado handle nicely. Isabelle comes through with a more bravura version of her sweetness of tone, and Abaddo and Orchestra Mozart give us all the nuances of this masterwork in all the right places. All I can say is "Bravo!" An excellent recording in excellent sound. The Berg is stunning. The Beethoven uplifting and upbeat. 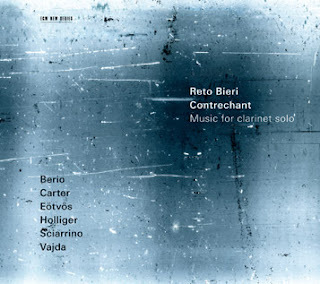 Reto Bieri, "Contrechant: Music for Clarinet Solo"
New music/modern classical music makes demands upon the performer in ways no style of music has previously known (though new jazz can do so as well, sometimes in quite different ways). The expansion or absence of pitch centers at times means that musicians and vocalists must develop an extraordinarily advanced sense of intervallic acumen and a more complex sense of the relationships between multiple tones in a piece (beyond conventional harmonic recognition). The often irregular and otherwise advanced precision rhythmic figuration places demands on the performers that can be considerable. And for many if not most instruments and vocalists as well a body of new sound producing techniques have arisen over the past 100 years, which need to be mastered along with those of conventional classical music. In contrast to an ultra-precise production of pitch, color, timing and dynamic, there are works that expect performers to develop a keen aural imagination and ability to improvise in the course of realizing a piece. All these things come to the fore in woodwind performance practice, including of course music for the clarinet. With this in mind we look at a recent CD of very modern music for solo clarinet, Contrechant (ECM New Series 2209), performed by Reto Bieri. There are seven demanding works by six composers, some of the latter well known and some not as well. Luciano Berio, Heinz Holliger, Elliott Carter, Peter Eotvos, Gergely Vajda and Salvatore Sciarrino are each represented, Heinz Holliger with two works. Clarinetist Rero Bieri, Swiss National, Julliard trained, unleashes a formidable arsenal of modern techniques for the clarinet in a recital where brilliant musicianship and aural poetics conjoin nicely. He has mastered the modern idiom in ways that put him at the forefront of virtuoso wind exponents practicing today. The works make considerable demands. Bieri saturates the performance soundstage with a dazzling array of color, contrast and expressivity. It is most certainly a tour de force performance. The works are varied and ever reshaping one's notion of the subtle nuances of the instrument and its expressive capabilities today. Of course a large part of that has to do with the exceptional abilities of Maestro Bieri. Contrechant deserves landmark status as a marvelously invigorating melding of technique and aesthetic sensibility, composition and performance, musical abstraction and concrete sound color invention. Bravo! The institution of the string quartet has remained a central if sometimes more "inner-sanctum" oriented part of classical music since Haydn, Mozart, Beethoven and Schubert wrote their highly involved masterpieces for the configuration. It remains an idiomatic kind of musical retreat, often a special space for the most seriously new-form-seeking aspects of a composer's works through to today. 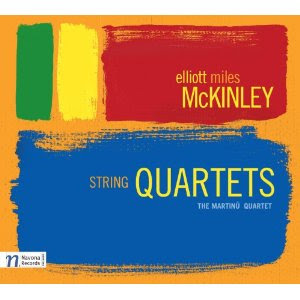 Elliott Miles McKinley embodies that "today" with at least six string quartets in hand. The Martinu Quartet commissioned Nos. 4-6 and perform them with great spirit and presence on the Navona (5855) release of same. This is music of considerable depth and subtlety. High modernist for the most part, rhythmically sophisticated, the works in a way are the equivalent to some of the painterly abstractions of the New York School and beyond, in that they are intended as pure music, untrammeled by considerations of extra-musical references or vernacular expressions. Like Mozart referenced Haydn, McKinley most certainly has given some attention to the quartets of Bela Bartok and Elliott Carter. It's a lineage he fits in with and to me does not at all suffer by the comparison, but rather finds a way to extend the modernist tradition with his own inventive take. I don't feel that a detailed analysis in this space is practical; nor do I think that it would make a great deal of difference to your appreciation of works you have not yet heard. Why? First of all because it would take me some weeks to do the music justice and secondly because my blogs tend to point the reader toward good and interesting music, more than they try to express the verbal equivalent of that music in any detailed way. Since the map cannot be the territory and overarching form becomes apparent in many sophisticated modern works through a study of the scores, etc., I shall remain mute on the details, except to say that there are many sublime moments to be heard here. Suffice to say that Elliott McKinley has gone the distance in creating three original modern quartets and the Martinu Quartet do a fabulous job recreating them for our ears. This one is definitely recommended! There was a time in my purist-thinking youth when I distained the performance of Baroque era harpsichord works on the piano. No, I thought, this is inauthentic. So I stuck with my Wanda Landowska LPs and sported a holier-than-thou attitude. Then I heard Glenn Gould play Bach, and Jorge Demus...and I quickly changed my mind. 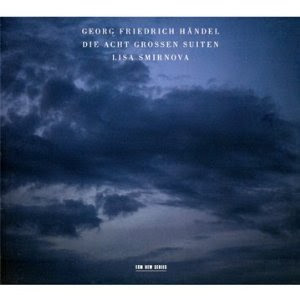 Russian-Austrian pianist Lisa Smirnov brings up-to-date the tradition of using the expressive and sonoric possibilities of the modern pianoforte to bring out the glowing musical phraseology of a Baroque masterpiece--in this case Handel's Die Acht Grossen Suiten (ECM New Series 2-CD 2213/14), which is also known as "The Eight London Suites" or "Suites de Pieces pour le Clavecin." She worked on the entire opus for five years. What she does with it is in part what you expect from a world-class pianist, to use the dynamic swell of the modern piano and its variable articulation responsiveness to build up a very expressive music ediface. The music sings, the inner and outer parts are laid out before us with clarity, logic and poetic charm. The full suite is rarely presented in its entirety and with Ms. Smirnova's interpretive acumen, it gives the listener a new way into the brilliance of Handel the keyboard virtuoso. The music is extraordinarily and perhaps I realized that as if for the first time on extended listenings to this release. Handel is surely one of the brilliant melodists of his or any time. Ms. Smirnova helps us come to terms with that brilliance in performances that let the principal melodies sing forth, the contrapuntal support and figuration assuming more of a supporting role. And her deft use (but not over-use) of rubato heightens the experience. Here we have more than two-hours of musical bliss! Sterlingly beautiful performances of a great work of the Handelian mastermind, recording with sparkling audio presence. I come away from it a happy man. Long before there was heavy metal...there was heavy organ sounds. There's a CD that reminds you of how the concert organ can hold forth in ways that Led Zeppelin, say, cannot. And we take a look at it today. With a title like Heavy Pedal (Navona 5853) you know you are in for some dynamically BIG sounds. And that is what you get on this all-organ release. Thanks to in part nearly 100 years of Gothic horror films, many of us (myself included) associate the grand cathedral organ at full pedal with an eerieness that of course was sometimes there to begin with. After all the function of classic cathedral organ music at times was to represent the mystery of the faith, the awesome power of the godhead, the ineffable presence of the sacred unknowable in aural terms. Before the large symphony orchestra held sway it was the loudest music, more or less, that one could hear in one's everyday life. That is, if one lived in at least a moderate-sized town with a suitably large cathedral housing a grand organ. This album has some of that. But of course none of it was composed to strike fear in our hearts. Rather it is the grandeur of the full organ sonority that is on display. There are eight compositions composed by five 20th-21st Century composers. You probably are not overly familiar with them unless you are an organ repertoire specialist. We get works by Tadd Russo, Curt Cacioppo, Ron Nagorcka, Wilhelm Middleschulte and Michael Summers. There are big modern Gothic roars (Tadd Russo), a piece evocative of Australian Native Residents, complete with didjeredu (Nagorcka), a virtuoso piece for pedals alone, based on a theme of Bach (Middelschulte), English folksong variations (Summers) and more besides. It's not really music to invoke images of horror, nor is any of it intended to be. It is modern, but not avant garde music that takes as a starting point a certain reverence for the classic cathedral organ and the works that went before. You don't hear a great deal of Messiaen as influence, but there is the presence of the French composers that preceeded him and their winding chromatics. Then too there is a channeling of the contrapuntal classical masters Bach and Buxtehude in direct and indirect ways. All serve in part as reference points. 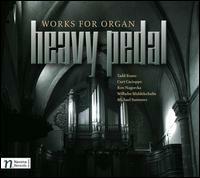 It is a sure-fire winner for those who cherish the organ tradition and crave the spice of modernity. And some of it sounds downright spooky. It will get a prominent spot on my CD racks somewhere between Alain and Messiaen. There are times when music may not be ultra-advanced catagorically yet be so captivating that one doesn't care. The composer Craig Madden Morris and his chamber music on the album Dreams (Ravello 7813) gives us such a time. There is lyricism, formal heft, the beautifully played parts (for example Christine Kwak's violin performances are quite lovely) and an idiomatic craftsmanship/inspiration that makes it all a joy to hear. The piano reduction version of Morris' "Violin Concerto" is a perfect example of this. A ravishing violin presence, an intimate, harmonically early modern-later romantic context played sensitively by Eduard Laurel on piano, all facets come together for a work that brings beauty into your world, one note at a time. The same is true of the other works presented here: solo piano on "Dream Songs" and "Tropical Dances," cello and piano on "Cello Rhapsody." All serve to map out Morris's most definite stylistic parameters, and all bring a timelessness into play that does not always apply to those working along more-or-less traditional lines. I would love to hear the orchestral versions of the several piano reductions but for now this is something to appreciate repeatedly and happily. There is a "serious" cabaret music style that goes from Kurt Weill to Carla Bley and others. 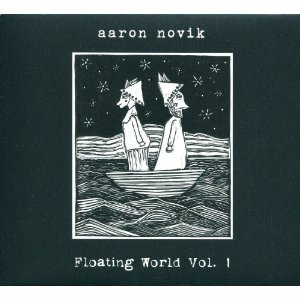 Aaron Novik's Floating World, Vol. 1 (Porto Franco PFR 021) fits in there somewhere. It's a suite of songs for female vocalist--mostly Carla Kihlstedt or Katy Stephan--along with a cabaret-rock-old-time styled chamber group. 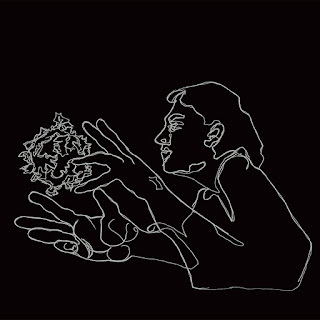 The lyrics have to do with everyday life and/or whimsical-philosophical takes on modernity. It sometimes veers a little to the side of "cute" and that you need to get past if you are to appreciate the very musical side of it all. It's not in an operatic vocal style but (like Weill and Bley) a vernacular one. And the music toys with theatre and vernacular while it transcends that with an original take on where to place it all. This may not get enough attention, I fear, but it is quite different and needs to be heard. Winds and brass. They have a sound, of course. Modern composers have most certainly made them as fundamental as string and keyboard instruments in the mix of timbres they seek to realize. Not that there is anything really new there. But never as consistently have they been a part of the chamber and orchestral action. 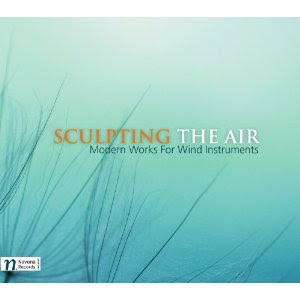 It is to the chamber part of the action that we look today, in a nice anthology of modern works that incorporate winds and brass as principal components, Sculpting the Air (Navona 5852). Eight work by eight composers, widely varying in style from later romantic-neo-classical to classic modernism, and in varying configurations from the wind quintet to wind-piano combinations and others as well. There is much of interest for the lover of the modern and/or the wind enthusiast. There is one "ringer" on the program, and that is Samuel Barber's lovely "Summer Music." It should be well known to many. The rendition given here is warm and expressive. On from there we hear pieces by James Adler, Russ Lombardi, Jan Van Der Roost, Barry Seroff, Brian Gillett, Juan Sebastian Lach Lau, and Richard Crosby, all relatively undersung, all living, all contributing works of interest and personality, the works all well performed. It is an appealing program. New-Mexico-based composer Christopher Shultis gives us something original and good for the ear on his CD of four contrasting compositions, Devisadero (Navona 5849). There's a four-part suite for wind symphony ("Openings"), a song cycle for soprano and piano ("Songs of Love and Longing"), a reflective work for soprano sax and winds ("a little light, in darkness") and a suite for solo piano ("Devisadaro"). Generally this is a modern, original take on American post-impressionism, with tone painting that evokes the stunning landscape of New Mexico. "Openings" has plenty of contrast, some very dynamic percussion-winds interplay, chorale-like grandeur, and orchestrational depth and transparency. "Songs of Love and Longing" pits a homespun charm against contrasting blocks of emotive expressiveness, American Chopin-Liszt-and beyond pianisms of idiomatic writing, some of the simplicity-in-sophistication of the Ives-Barber lineage, and a hint of later Strauss songsmithing for a kind of exquisite expression of lack. "A little light in darkness" nicely juxtiposes acapella soprano sax with alternately sparse and full wind thematics. There is an introspective drama in the quiet parts, a little more espisodic urgency in the sectional, multi-solo tuttis. "Devisadaro" makes good use of recurring motifs in a series of poetic through-composed soliloquies. 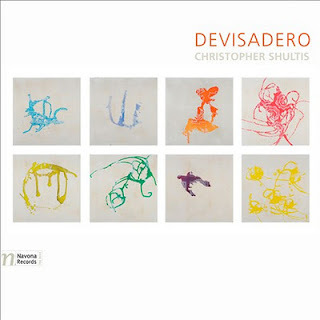 Throughout Shultis goes after a modern shimmer, the small sounds of the landscape and the large, a sensitivity to the micro and the macro, in ways that reference past classical styles while harnessing them to the insistent and consistently inventive musical imagination of Christopher Shultis. Containing a wealth of songs, organum, elaborate polyphony, sacred Latin chant, the 13th century Codex Las Huelgas was originally intended for a convent of aristocratic Castilian women. In spite of a ban on women singing polyphony, they most certainly sang it, as well as a fascinating cross-section of sacred and secular repertoire. The acclaimed vocal quartet Anonymous Four, women all, give loving performances of 11 works from the Codex, with the very sonorous and detailed vocal presentations for which they are known. 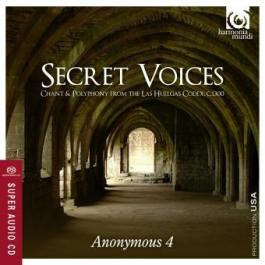 Secret Voices (Harmonia Mundi) is the latest in an ongoing series of beautiful recordings by the quartet. It will I hope serve as a bellwether for excellence in medieval vocal performance practice. I will not rehearse the actual titles of the selections. Suffice to say that the gamut of vocal possibilites are run, from simple but sometimes ornate unison chant and song form to sophisticated four-part polyphony. Anyone who loves the music of the Middle Ages will find this a delight, as did I. As time moves on, the idea of "something different" changes. The avant garde of today might be something considered conservative 30 years ago. Time changes things, perspectives shift and we find different aspects of music to gauge so-called progress. Sometimes, that is. Someone like Edgar Varese may be ahead of his time for a long time, perhaps for all the time our civilization has. Who can say? The chances are slim that "Arcana" will be the background music for a coffee commercial any time in the future, at any rate. And should that matter to us, really? I don't think so. You don't find microbiologists lamenting how little their work has entered the pop mainstream. Why is modern classical any different? 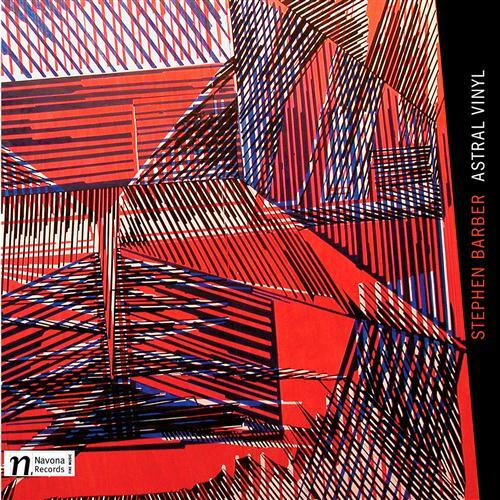 The music of composer Stephen Barber, on the other hand, is advanced in its eclecticism. Astral Vinyl (Navona 5850), a recent compilation of his compositions, bears this out. He has big ears. He has been absorbing the music around him. He casts a wide net. The compilation showcases 12 of his works, all for diverse combinations. There are string quartets, vocal music with piano and steel drums, chamber ensembles that let in rock elements a la Zappa, brass choirs, some electronic filtering here and there, an occasional harmonically expanded tang to the sound. In all of these works there is eclecticism, yes, but there is a tonal Americana lurking in the wings. Maestro Barber is the son of Ives, Copland and the other Barber, spiritually. Oh, also a little Schoenberg, Webern, Berg and Stravinsky, at least to my ears. Yes, also Frank Zappa. 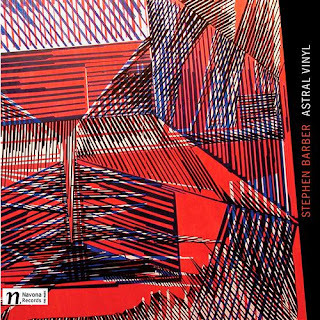 And he brings a musical personality into the mix that pleases as it hones a lyrical craftsmanship and artistry of which, for his most characteristic works, perhaps we will say someday, "oh yes, that's Stephen Barber's music. I can tell." Be that as it may, right now I find the music very pleasing. Posterity will do what it will, willy nilly. The all-saxophone Prism Quartet recently celebrated its 20th anniversary as a group. Dedication (Innova 800) notes fittingly the passing milestone with the quartet performing 31 short compositions penned especially for the occasion. Most pieces are a little over a minute in duration, though some are longer. Time passes quickly and rewardingly when listening. Jazz adept Greg Osby joins the group for some effective solo work on alto for his piece "Prism #1 (Refraction)," presented in two interesting takes. In addition there are short pieces by Ken Ueno, William Bolcolm, Jennifer Higdon, Tim Berne, and a host of others. As might be expected, some directly channel the sounds and influences of modern jazz, others take on various characteristics as the particular composer deems fit. All are contemporary, seem specially suited for the quartet, and sparkle like small but brilliant stones in a modern cabinet of curiosities. 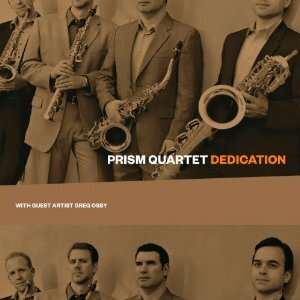 Dedication showcases ideally the excellence of the Prism Quartet with their exceptional tonal blend and precise agility. A most fitting way to kick off the next 20 years! After years away from music, reedman/ composer Alexander Berne got the call in his being to go into the studio and put down music that had in whatever way gestated within him for more than a decade. The product of many hours of layering sound carefully and doubtless arriving at a combined "orchestration" meticulously as he painted tone colors on a digital canvas, the result is a remarkable 2-CD set, Flicker of Mime-Death of Memes (Innova 804). It's a battery of standard, altered or radically modified wind instruments along with prepared piano, wine glass, vacuum cleaner, lap steel guitar and so forth--that he uses to build up startling ambiances and resonant, ever-shifting space-drone transformations. It has a primal quality, as he makes note of in the accompanying liners, but it also is extraordinarily sophisticated in its use of transformed sounds--not through electronic filtering but through careful layering and mixing over time. It's a sound-color tour de force, at once mystic and concrete, an orchestra of odd provenance creating otherworldly sounds. It's rather remarkable, very listenable and pretty much like nothing else in its poetic, sound-sculpting consistency. One of the most original extended soundscapes I've heard. Some music requires that you clear your head of distracting influences and open up. 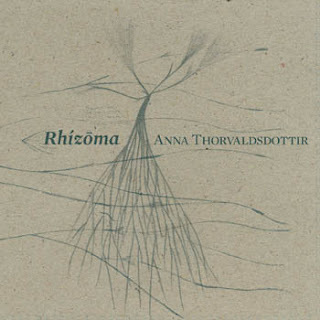 Clearly that is the case for Anna Thorvaldsdottir's Rhizoma (Innova 804). It is a series of works for various forces: percussionist on grand piano (Justin DeHart), chamber ensemble (KAPUT, conducted by Snorri Sigfus Birgisson), or full orchestra (Iceland Symphony Orchestra, conducted by Daniel Bjarnson). "Hidden" consists of five rather brief movements, scattered across the disk, as played by Mr, DeHart. 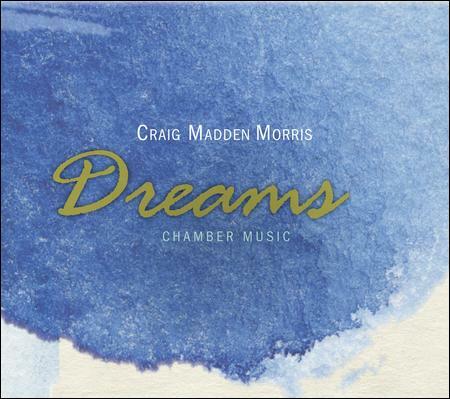 "Hrim" and "Streaming Arhythmia" are for chamber ensemble, and "Dreaming" is for symphony orchestra. Ms. Thornvaldsdottir's music is ethereal, often sparse, with a timeless, floating quality. They are so much of a piece that if one listens without reference to how the tracks are parsed, one piece flows into the other with sound colors changing, but a feeling of stylistic continuity dominates. The music sometimes reminds me of a set of wind chimes on a mildly breezy day, though nothing sounds like wind chimes really, and you do not hear the sound of wind. And it's not a random quality one hears either. Instead there is a very irregular and unpredictable contrast between musical utterence and quiescence, too directed to be the product of chance operations, but also too experiential-serendipital to be a product of logical-linear thinking. Those factors make it essential that one listens in a state of relaxed concentration. My first several hearings of the disk were in hectic multitasking situations and I came away with no impression at all. It is not background music. When I went back and concentrated on the music I found my aural footing and was able gradually to come to appreciate what was happening. This is, in it's own way, the music of Iceland (from which Ms. Thorvalsdottir hails). If that explains anything however I am not sure what, except that perhaps Anna spent some time in a less noisy world than ours, and has come to understand that relative silences and the silent actions of memory are implicit framing points and lead to a different mind-set than the continual periodicic, unreflecting action-sound we are used to hearing. In the end, one leaves this music with a feeling that one is in the presence of an original voice, a poetics of desolation and isolation, an a-strophic language of free-verse, a series of sound color pieces that have more in common with natural forces than human-made machinery, that at first puzzle and then confirm. Anna Thorvaldsdottir. She is whispering something in your ear. It will take many hearings to make out what she says to you. It is worthwhile that you listen, anyway. Leos Janacek was one of the most original of 20th century composers, in his own way a titan, yet at least in the States his music is not as regularly performed or recorded as one might wish. So it is especially welcome when there is a well-performed set of something one does not often find on disk, namely his Choral Works (Harmonia Mundi) as performed by Daniel Reuss leading the Capella Amsterdam. The recording just became available and it is a good one. 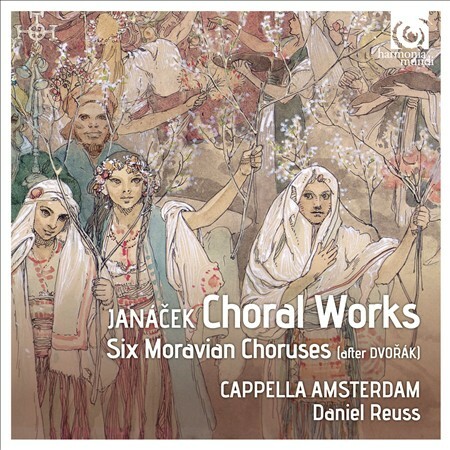 There are 72 delightful minutes of works not often heard on this side of the planet: they include "Six Moravian Choruses (Sechs Klange aus Mahren);" "Vlci stopa (The Wolf's Trail)," for soprano, female chorus & piano, JW 4/39; "Elegie na smrt dcery Olgy (Elegy on the Death of My Daughter Olga)," cantata for tenor, chorus & piano; "Rikadla (Nursery Rhymes)" (18) for 9 voices & 10 instruments, JW 5/17; "Otcenas," for tenor, chorus, harp & organ, JW 4/29, plus assorted miscellania. Some are earlier works that are nonetheless of interest, some many are of the mature period and have the characteristic Janacekian contrasts, all are well performed and deserve a thorough hearing. Starting off the new year of music is not a simple thing. The accumulated baggage of the preceding year of releases reviewed weighs on me and a kind of symbolic casting away and a new beginning seems requisite. On a 7AM after the official end of the holiday season here it seems doubly important to retrace steps and make a fresh start down the path to the year ahead. 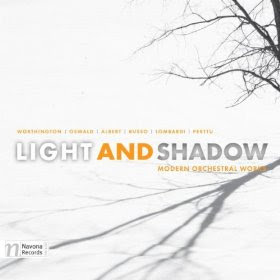 As a kind of palate cleanser, today's CD, Light and Shadow: Modern Orchestral Works (Navona 5847) seems right. It's a series of shorter works by lesser-known composers of today: Rain Worthington, Rebecca Oswald, Adrienne Albert, Tadd Russo, Russ Lombardi and Daniel Perttu, played quite decently by various symphony orchestras. These are what I might call character pieces--sketches of orchestral character, of the character-characteristics of each composer at a particular point in time addressing a musical subject. The pieces tend toward the tonal-descriptive side of modern orchestral writing. And if there are roots to be uncovered in these works, it would tend more toward Aaron Copland than Gustav Mahler. There are off-stage allusions to rooted, earth-folk elements, vernacular elements radically transformed to the orchestral-modern idiom. Not to sound patronizing, but you might liken these pieces to performances of character actors in golden-era Hollywood films. They have a role to play in the overall matrix; they come into the frame and do their bit and do it well. They constitute an art form in themselves and they are appreciated by contemporary audiences and remembered later for their contributions by film buffs. They aren't the leading actor-artists of their time but without them the films would drag along with too much weight and not enough light. Each musical work is vivid, colorful, and evocative. None of them are designed to be the heavy "masterwork" opuses of our era. They are the finely executed miniatures that stand alongside the gargantuan klangs of the epoch. And so to me this CD is a fitting start for the new year. After the revelry and frantic gestures of good cheer in bad times, a simple set of premises, the well-turned phrase, the orchestral color sketch. These may not be works that will change the nature of music making for the future, They aren't. 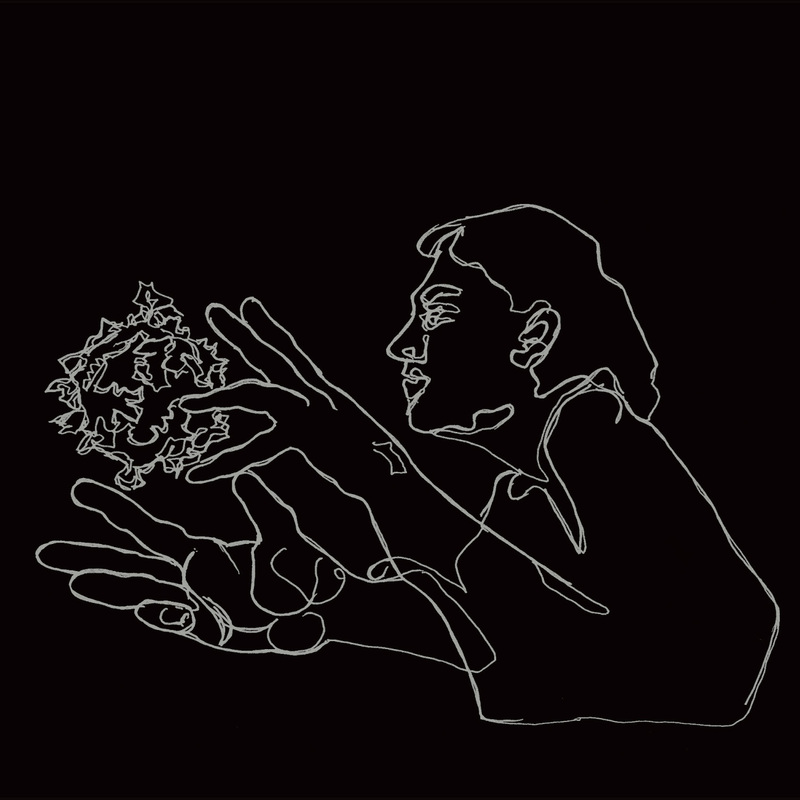 They are exceedingly evocative day trips into imaginative musical realms. And so they please.